Summer vacation for us officially begins next week. The last day of school is Tuesday and that means that it will be Miguels last day as a 7th grader. 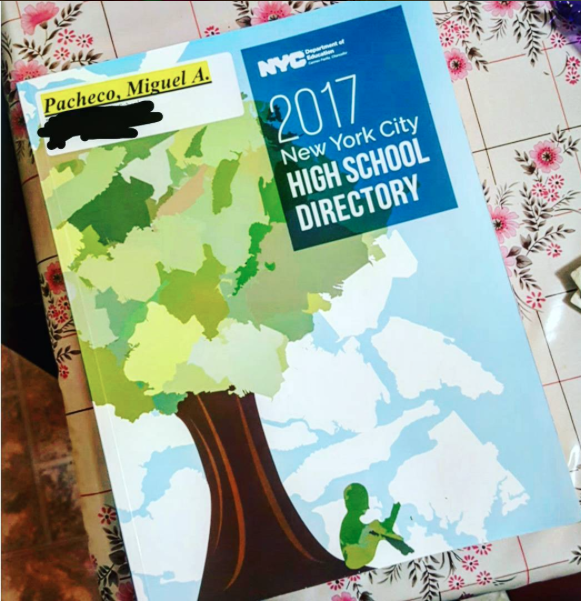 He brought the High School directory book home today and we have a long Summer full of application planning, essay writing, and getting his portfolio ready. This upcoming school year 2016-2017 will be one full of high school open houses, lots of organizing and a lot of patience. It seems like just yesterday I was going through the Jr High School process and now i'm starting the High School one. I knew that Miguels junior high school years would go by fast, for some reason those 3 years of school always seem to go by very fast. I'm anxious about starting this process for many reasons, one of them being that Miguel is growing up way too fast. And as each day passes he grows up even more and that means he eases out from under my wing. Why can't I keep him in my arms forever?